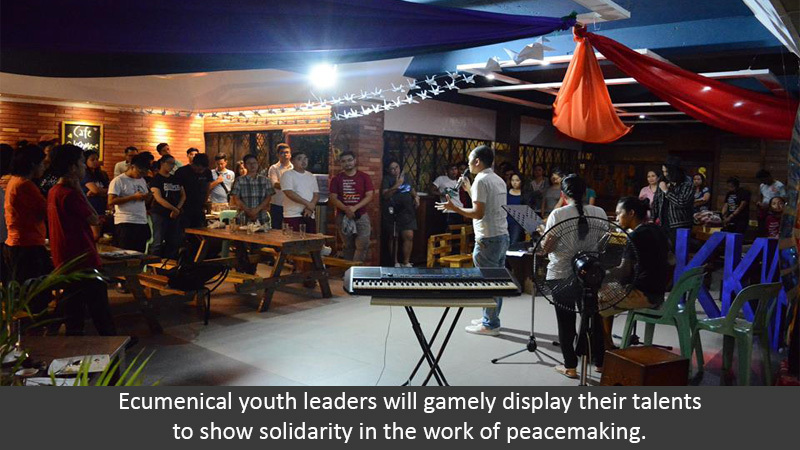 An ecumenical youth group is inviting young people to the second event of its peace series, set on August 18 at Café Oikoumene in West Triangle, Quezon City. The event, which will happen at 7-9 pm, is set to expound on unpeace in Mindanao. It hopes to gather young people for a fellowship through the arts and a mutual commitment to peace in the country. 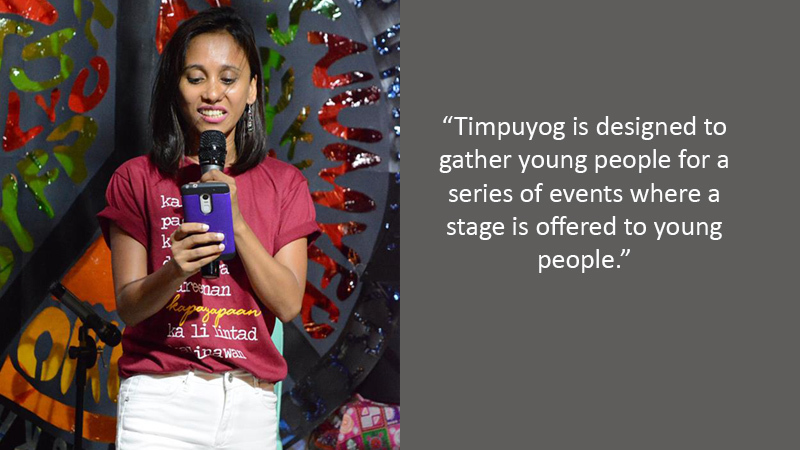 The KKKP will hold “Timpuyog 2” on the heels of the successful first edition, which gathered over 70 youth leaders from Metro Manila and neighboring areas. 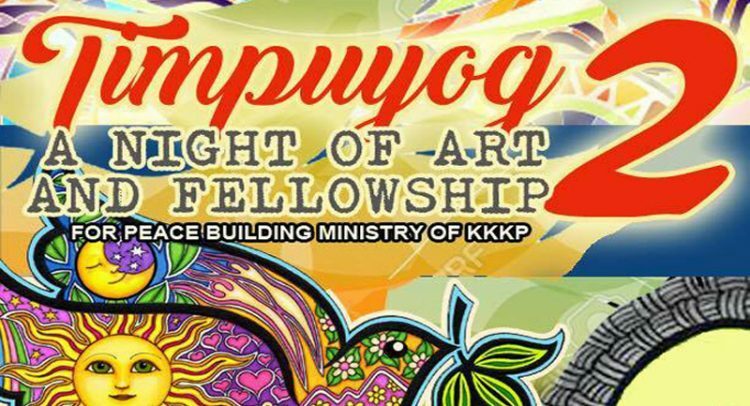 Timpuyog 2 is the second of three events in a series organized by KKKP, a conglomeration of mainline Protestant and alternative Catholic youth groups. Peace and peacemaking are central to the ecumenical gatherings. “Timpuyog” is an Ilocano term that may mean unity, synergy or gathering. The term has found use from the Ilocano-speaking northern Philippines to as far down as Saranggani Province, as the name of a festival in Kiamba town. The term is a takeoff point for the rationale of the Timpuyog series. An entrance fee of P100 provides free snacks and welcome drinks. The Café will be open for meal orders throughout the event. Peace shirts will also be sold for P250. “Come, and together let us sing and dance, as one expression of our mandate to ‘go into the deep and journey with God’s people,” Mabanta concluded. *Café Oikoumene is at National Council of Churches in the Philippines compound, 897 EDSA. Proceeds from “Timpuyog 2” will go to the peace-building ministries of KKKP.